And Crescent Pipe Tongs works on all types and sizes of pipe. 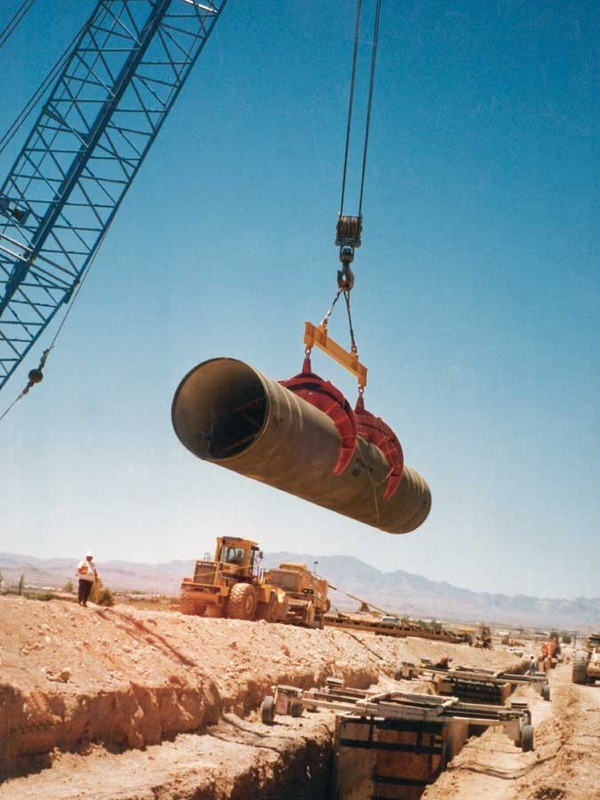 Crescent Pipe Tongs can be used with a wide variety of lifting devices such as a crane or escalator. Crescent Pipe Tongs are extremely easy to use, very reliable, have an automatic release feature, and extremely safe. The design allows the pipeline equipment industry to dig trenches that have a smaller width allowing the pipeline industry to work in a smaller and still very safe environment. The pipeline equipment are used for all kinds of uses: water pipeline laying, sewer pipeline work, oil and gas pipeline installation, pipe stringing operations, hide and barstock handling and storage and loading and unloading pipeline from trucks.